This creamy soup with origins in the United States, can come in so many vegan versions. There something for everybody’s taste. It’s not a heavy meal, but it is something that would make you feel full, and with no doubt, it is a delicious meal we are talking about. 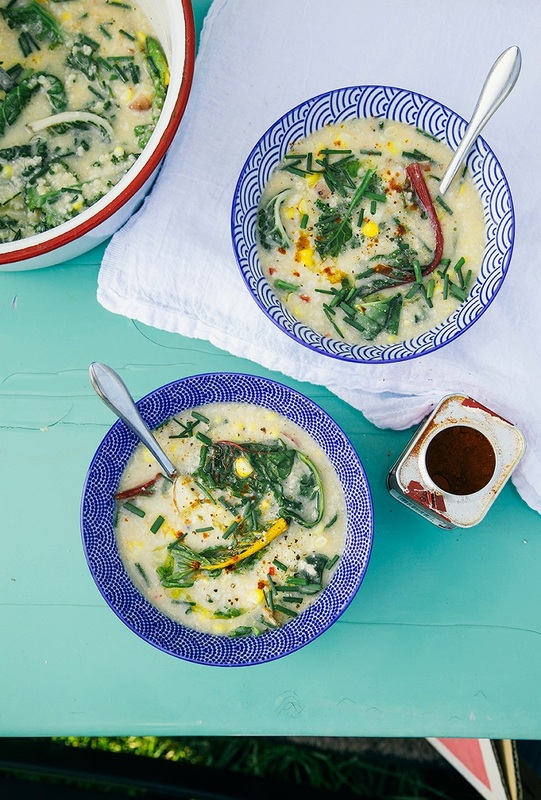 Bellow you will find ten chowder recipes, either for lunch, dinner or even brunch. Choose the one that you find the most delicious and prepare your vegan meal! For this amazing chowder, you need baby potatoes, fresh spinach, vegetable broth, olive oil, garlic, brown onion, non dairy milk, kombu, ground black pepper and kosher salt. Kombu is optional, and in case you are wondering what kombu is, it is a type of seaweed that especially helps in digestion. For garnish, you can use fresh parsley, avocado and hemp seed. 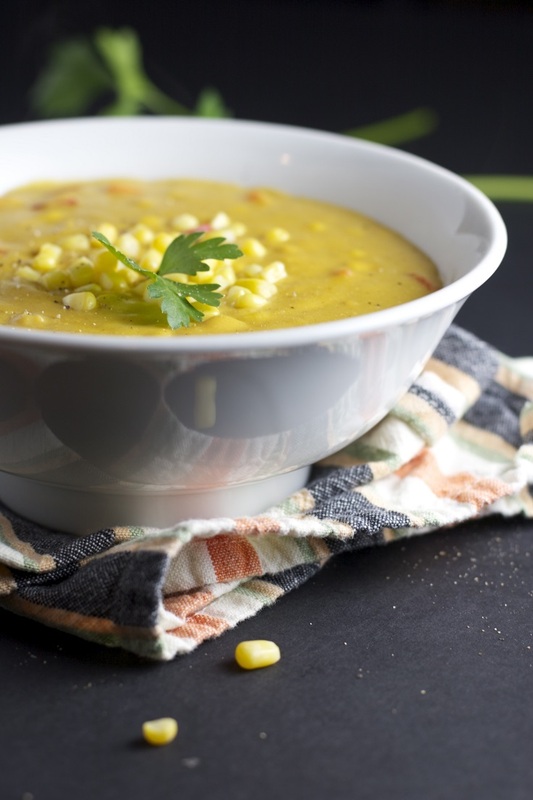 If you enjoy the Indian cuisine, then here’s some good news: you can prepare the regular corn chowder as a part of this spicy cuisine, by cooking with curry and turmeric. Other ingredients needed are sweet potatoes, extra virgin olive oil, onion, garlic, corn kernels, coconut milk and vegetable broth. For garnish, you can use cilantro, red chili and/or green onion. The clam chowder is a combination of the creamy soup and mushroom “clams”. 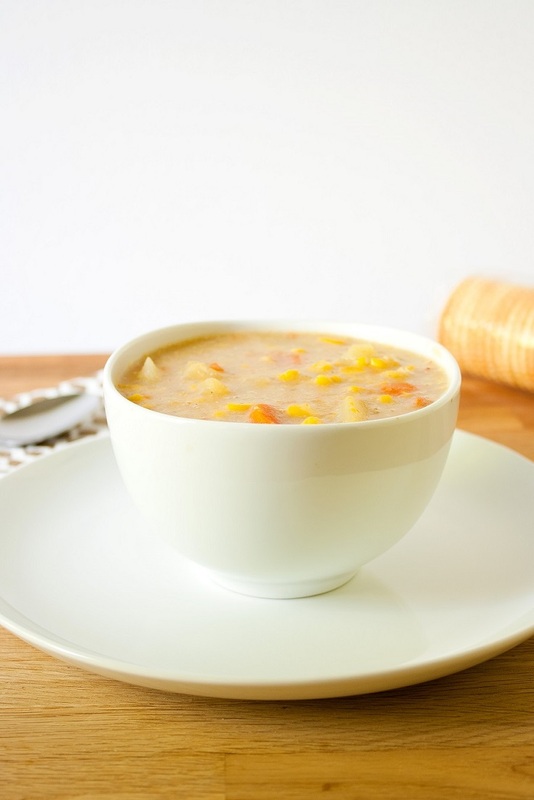 For the soup base, make sure you have celery stalks, medium – sized carrots, yellow onion, frozen corn, thyme, gluten – free flour, medium – sized potato, vegetable broth, non – dairy milk and fresh parsley for garnish. For the mushroom clams, you need shiitake mushrooms, white wine, celery seed and vegan butter. And last, to get the creamy part for the soup, you need cauliflower, non – dairy milk, vegan butter, salt and cracked pepper. Instead of the regular cream prepared for the chowder, this recipe uses blended quinoa. It is a very healthy option, considering the fact that quinoa cuts the amount of fat, increases the fiber, and protein as well. Besides the quinoa, for this chowder you need white onion, leek, carrot, corn, vegetable broth, bay leaf, ground black pepper, sea salt, cayenne pepper, saffron, red pepper and parsley. Healthy, spicy ingredients! 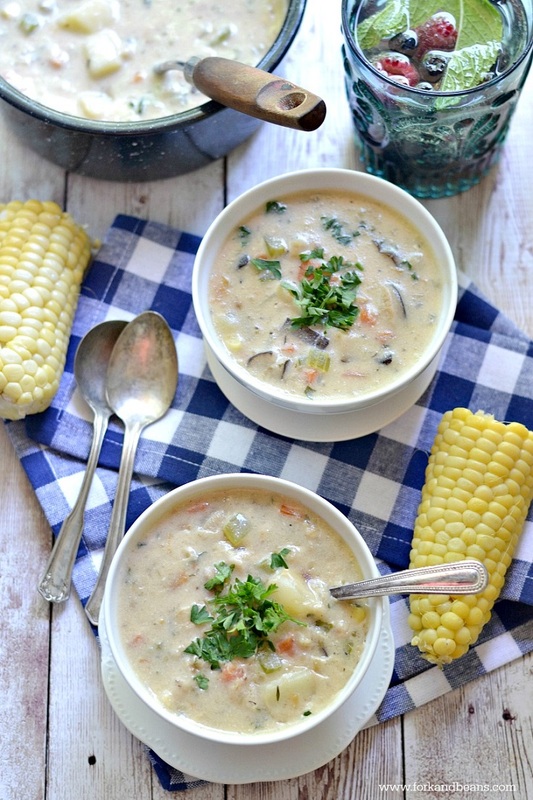 The corn and wild rice chowder recipe serves six and it’s all done in one hour and ten minutes. To prepare it, buy vegetable broth, wild rice, extra virgin oil, medium – sized onion, garlic, carrots, bell peppers, frozen corn, nutritional yeast, salt and pepper to taste and unsweetened almond milk. 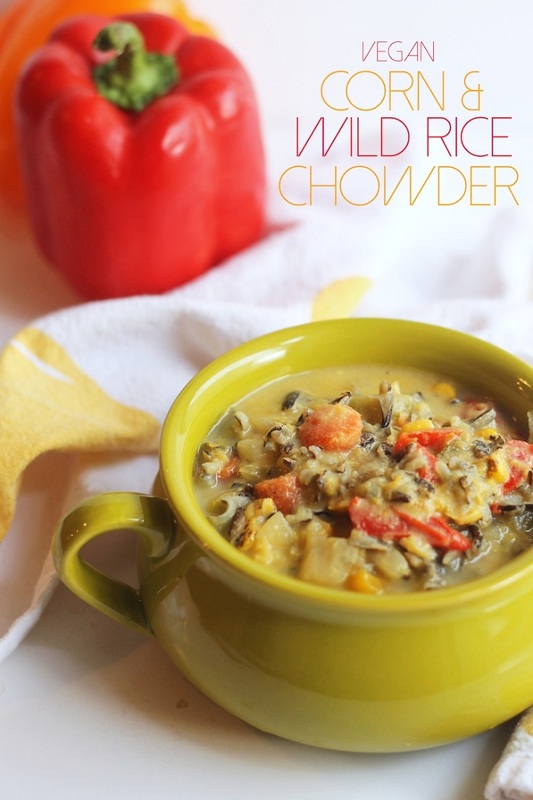 So many healthy ingredients when combined together, they make such a delicious chowder! 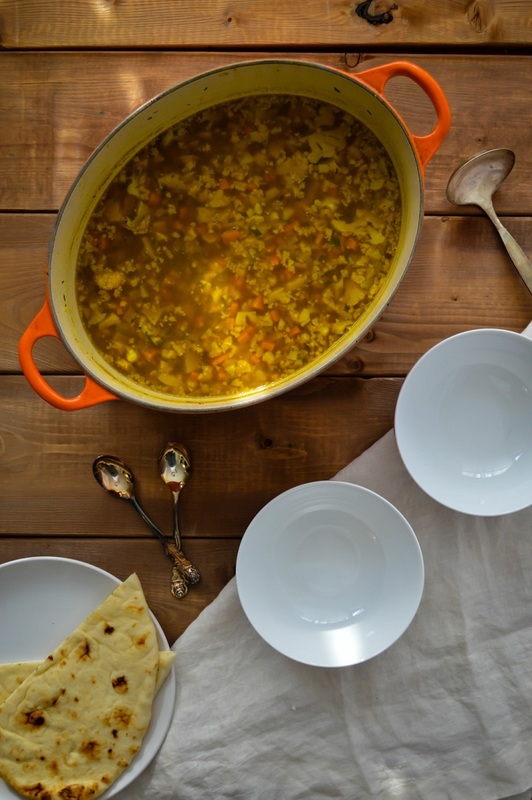 The golden cauliflower chowder takes less time, approximately 35 minutes. 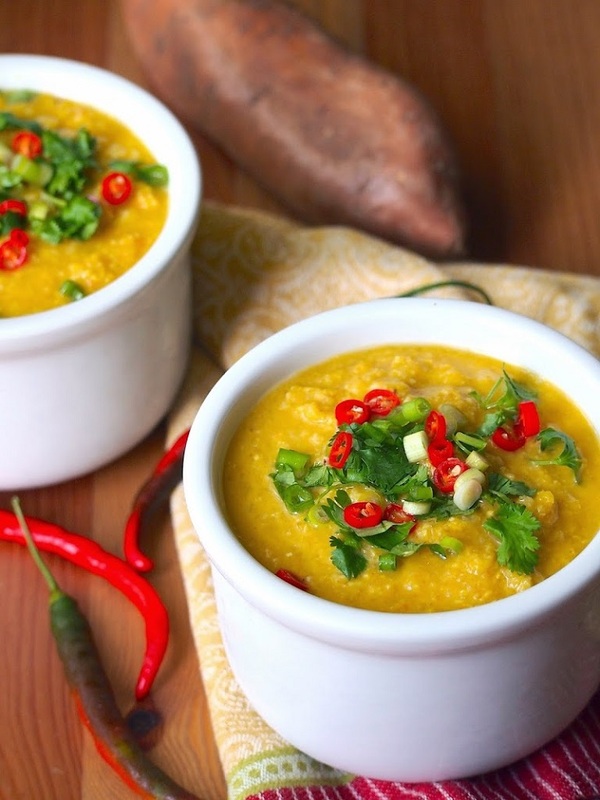 Make sure you have all the needed ingredients, such as ground cumin, ground coriander, extra virgin coconut oil or melted coconut oil, yellow onion, carrot, garlic cloves, minced ginger, ground turmeric, ground cinnamon, cauliflower florets, cooked chickpeas and salt and pepper to taste. Parsley is a very good choice when it comes to garnish. This recipe serves four and for it you need rinsed millet, olive oil, garlic clove, hot pepper, ground cumin, smoked paprika, baby potatoes, fresh or frozen kernels, chopped chives, small greens such as baby spinach or small kale and salt and pepper to taste. Garnishing the chowder is optional, but it’s a pity if you don’t – some give away a very good taste. Paprika, fresh pepper or chives are just few of what you can use for garnish. 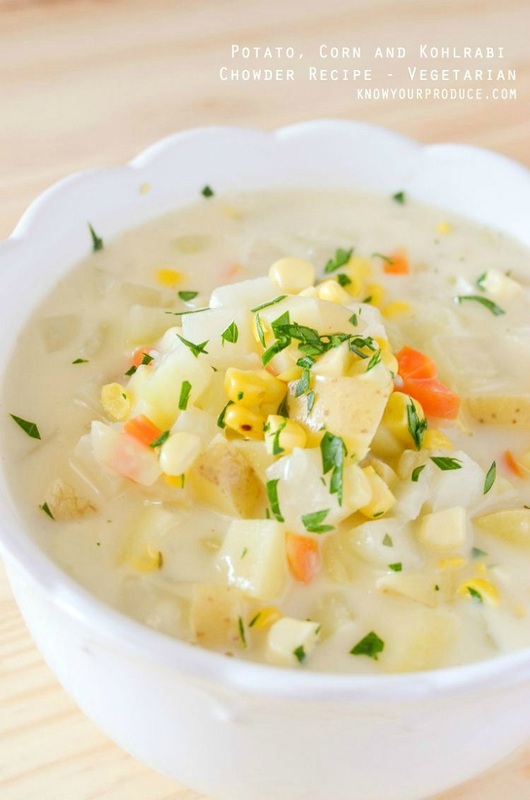 Good old potato corn chowder is always here to save the day! This warm, delicious meal will make you feel full, no matter if it is lunch or dinner. Buy yukon gold potatoes, garlic cloves, carrots, unsweetened almond milk, frozen corn, onion, olive oil, and salt. It will serve 4 – 6, and it’s done in one hour. You will need blender for this, so if you have an emersion one, blend approximately 1/3 of the soup while still in the pot, and if you have a regular blender, remove one cup and blend it until smooth, then put it back in the pot. Done in one hour and five minutes, this recipe serves 10. That makes it a good food idea, if you are waiting guests. Especially if they are vegan, or vegetarian! Creamy, warm and very delicious, this chowder soup is similar to the previous one, except that it has kohlrabi in it. The recipe uses the regular milk, so in order to keep it vegan, chose a non – dairy milk. The rest is easy, just follow the instructions. Besides being super tasty, what really rocks about this chowder is that it comes along with a homemade oyster crackers recipe. 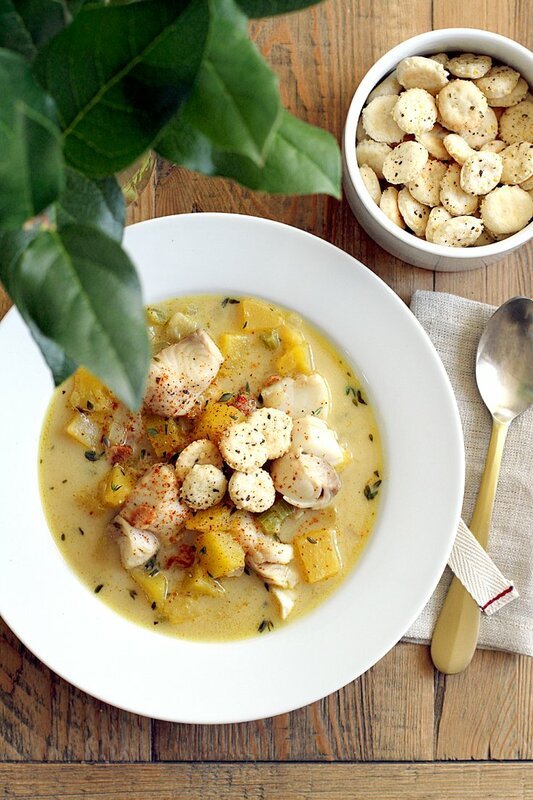 It’s all about serving a chowder on the good old way – with side crackers. The recipe serves four and you are going to love it. The crackers are crispy and the chowder is warm and creamy – that’s a combination you would like to try! I could be mistaken, but I’m PRETTY sure cod isn’t vegan.